A homeowner association may be liable for permitting dangerous dogs to remain on the common areas and private streets owned and controlled by the association. A homeowner association may be liable for permitting dangerous dogs to remain on the common areas and private streets owned and controlled by the association. The Board of Directors of these associations have a fiduciary duty to manage and operate the common areas, including making them safe and warning of any known dangerous conditions. Although there are not many cases establishing precisely the liabilities and responsibilities of homeowner associations pertaining to dogs, the prudent association would be well advised to enact Covenants, Conditions and Restrictions (called "CC&Rs") that would place reasonable restrictions on an owner's ability to house vicious and potentially dangerous animals. CC&Rs are legally binding and "run with the land," meaning that a homeowner is required by law to conform to them. The homeowner association is also required to enforce them. 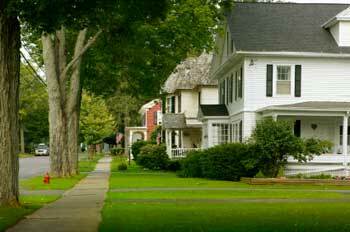 Therefore CC&Rs are properly regarded as the laws of the neighborhood. They create duties which, if breached, can probably be the basis of a negligence action by a nonresident, or an enforcement action by a member of the community bound by the same CC&Rs. "No animals (including, but not limited to horses, fowl, reptiles, insects, or poultry) shall be kept within the Project, except that domestic dogs, cats, birds, fish and other household pets may be kept as household pets within the Project provided that they do not create a disturbance and provided that they are not kept, bred or raised thereon for commercial purposes or in unreasonable quantities. As used in this Declaration ‘unreasonable quantities' shall be deemed to limit the number of dogs and cats to two (2) each, and no more than three (3) in total; however any litter may be retained for a reasonable period." Section 12 permits owners to keep within the Association's properties domestic pets, including dogs, provided the pets do not create a disturbance. Section 12 does not address an owner's ability to house potentially dangerous and vicious dogs. An owner recently reported an incident involving a dog biting the owner's minor child. The state legislature has found and declared, pursuant to Section 31601 of the Food and Agriculture Code, that: potentially dangerous and vicious dogs have become a serious and widespread threat to the safety and welfare of California citizens; potentially dangerous and vicious dogs have assaulted without provocation and seriously injured numerous individuals, particularly children, and have killed numerous dogs; these attacks have occurred in recent years and many have taken place in public places; the number and severity of these attacks are attributable to the failure of owners to register, confine, and properly control vicious and potentially dangerous dogs; and the necessity for the regulation and control of vicious and potentially dangerous dogs is a statewide problem, requiring statewide regulation, and existing laws are inadequate to deal with the threat to public health and safety posed by vicious and potentially dangerous dogs. The Board of Directors has a duty to maintain and operate the common area in a safe condition. As such, the Board recommends amending Article VIII, Section 12, of the Declaration of Establishment of Protective Covenants, Conditions and Restrictions to place certain restrictions on an owner's ability to house vicious and potentially dangerous animals and to otherwise protect the health, welfare and safety of the Association's owners. "No animals (including, but not limited to horses, fowl, reptiles, insects, or poultry) shall be kept within the Project, except that domestic dogs, cats, birds, fish and other household pets may be kept as household pets within the Project provided that they do not create a disturbance and provided that they are not kept, bred or raised thereon for commercial purposes or in unreasonable quantities. As used in this Declaration ‘unreasonable quantities' shall be deemed to limit the number of dogs and cats to two (2) each, and no more than three (3) in total; however any litter may be retained for a reasonable period. "Notwithstanding the foregoing, no domestic dogs shall be within the Common Area and Private Streets that are deemed by the Board to be vicious or potentially dangerous dogs. All vicious and potentially dangerous dogs must be kept indoors or in a securely fenced area within the Owner's Lot from which it cannot escape, and into which children or other individuals cannot trespass. A dog shall be deemed "vicious" for purposes of this Section if, when unprovoked: 1) it has bitten a person (however, a dog may be vicious even though it is not proven to have bitten any person); 2) in an aggressive manner, it inflicts severe injury on or kills a human being; or 3) it is previously determined to be and currently listed as a potentially dangerous dog (as determined by the Board of Directors or local governmental authority) and, after its owner or keeper has been notified of this determination, it continues to engage in behavior deemed potentially dangerous. For purposes of determining if a dog is "vicious," "severe injury" means any physical injury to a human being that results in muscle tears, disfiguring lacerations, or requires multiple sutures or corrective or cosmetic surgery. "The Association shall have the right to cause a dog found to be in violation of any provision of this Section to be removed from the Project and to enforce this Section pursuant to the terms of Article XI, Section 3, of the original Declaration or any other provision or amendment thereto."